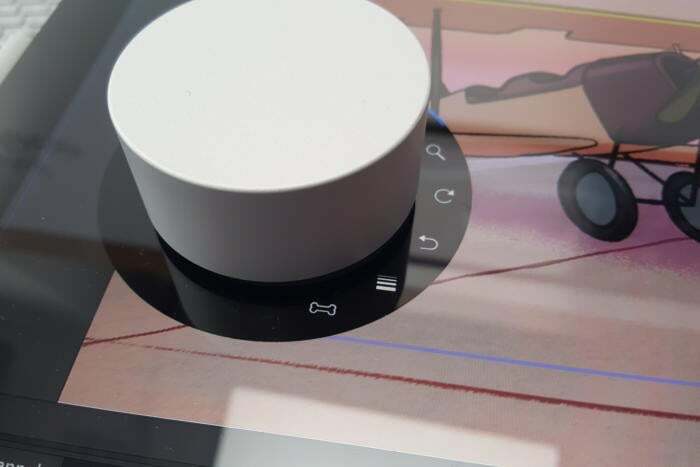 The Surface Dial probably isn't for everyone, but a passionate niche of digital artists will probably love it. Move over, mouse and keyboard. Take a seat, Surface Pen. 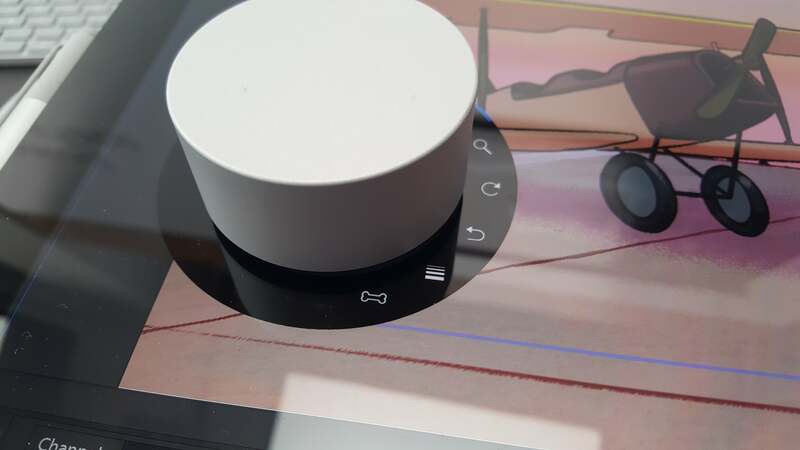 Microsoft has a new input device: the Surface Dial, a silver hockey puck designed to make life simple for digital artists. Mice move, pens draw; the Dial turns. Tap the Dial, and a radial menu appears. Turn the Dial, and you can quickly access the corresponding shortcut. It’s as simple as that. 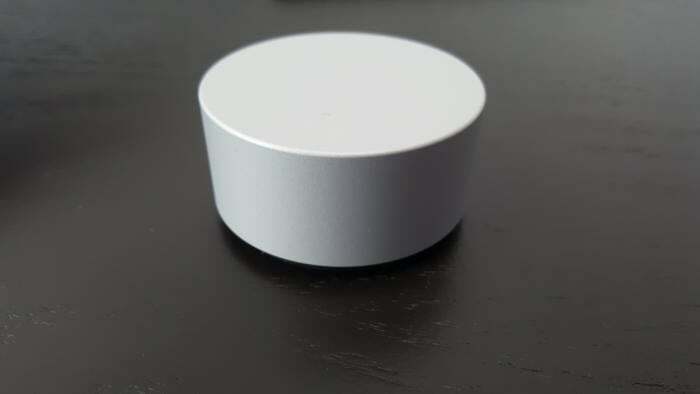 The $100 Surface Dial (already available for preorder) was designed as a peripheral for the Surface Studio. 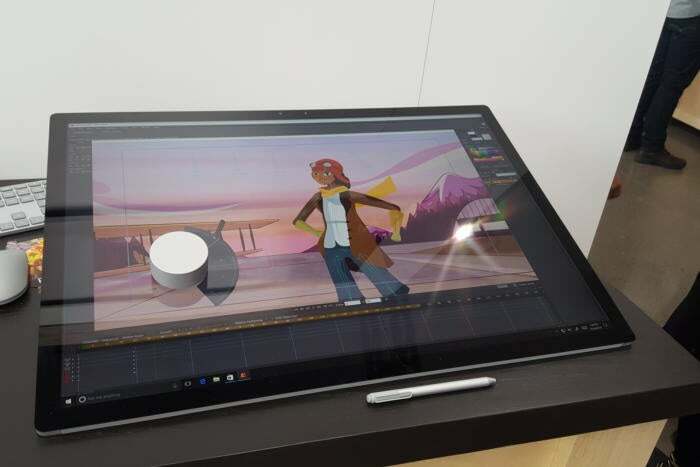 It will work with the Surface Pro 3, Surface Pro 4, and Surface Book as well, but with the Studio, it can control the tablet while resting on the screen—an interaction that simply isn’t there on the older tablets. The Dial can be used on screen, or off. In some sense, though, the Dial is a solution in search of a problem. Within the Maps application, the Dial can only currently be used off-screen, as a sort of mouse replacement. Spin the Dial one way, and the map zooms out. Tap the Dial and enable “Tilt,” and the Dial controls the map's orientation. For artists whose spend their days in a drawing application, however, you can begin to see the potential. Consider the various gradients and percentages that can be applied to the opacity of a line, or the contrast of a scene. Generally, these controls are governed by slider bars in a control panel. An artist may have to adjust one, then draw, making adjustments back and forth until everything looks right. A closer look at the Dial’s radial menu. 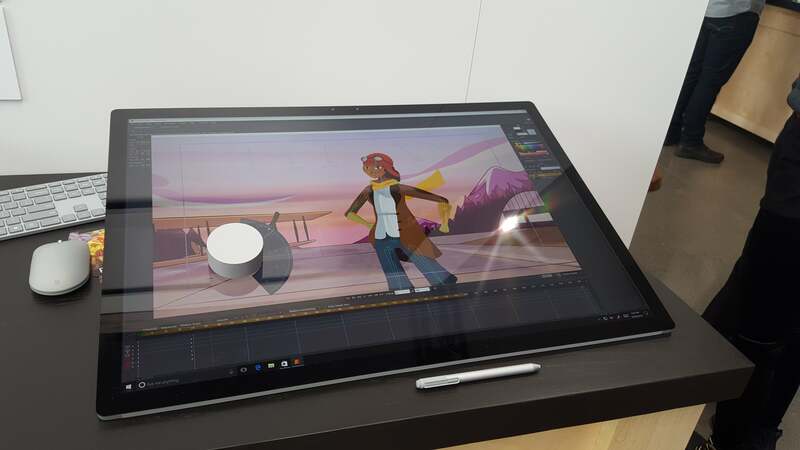 With Surface Studio you can have one hand on the Dial and the other on the Surface Pen, even leaning on the screen. Adjustments can be made quickly—and even, apparently, on the fly—though it depends on the app. Microsoft executives demonstrated a CAD app that required a stepped adjustment—draw, adjust the thickness of the line, then draw again. Other apps, however, will enable Dial users to draw one continuous stroke, adjusting the properties of the line as it’s being drawn. In 2012, Microsoft flirted with a radial menu for OneNote, and the Dial is that design motif in physical form. I wouldn’t call the peripheral a necessity—in fact, for basic tasks it simply isn’t as fast or functional as a mouse’s thumbwheel. In PowerPoint, for example, one of Dial’s options is to zoom the window. But the “tap” on the Dial is a bit more than a tap: The Dial requires you to hold it down for about a second before it triggers the radial menu. In some applications, where the mousewheel is already programmed for the same action, the Dial becomes useless. 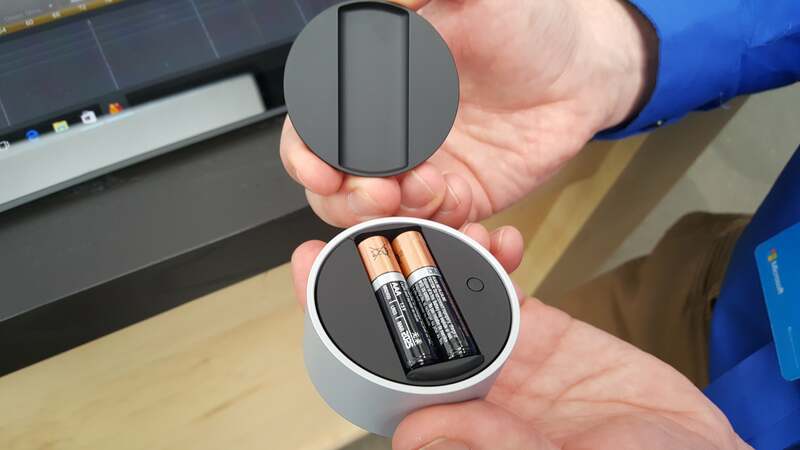 The Dial takes a pair of AA batteries, held on by a magnetic cover. In a specialized artistic application, however, the Dial becomes far more useful. As a massive tablet, reclined in a way that gives the artist full access to a digital painting, fumbling with a keyboard shortcut or control panel is a chore. 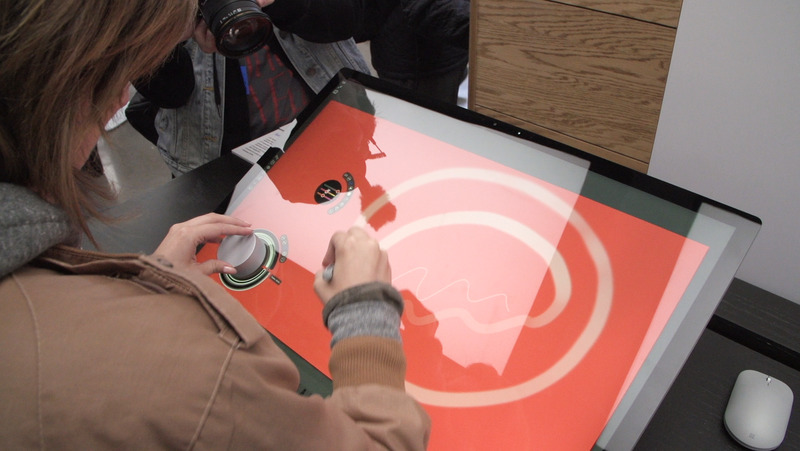 In that sense, the Dial smooths out the workflow and keeps the artist’s attention focused on their creation. That’s a pretty limited niche, however. I think it’s fair to say that most Surface users rarely touch the Surface Pen, and even fewer will use the Dial. 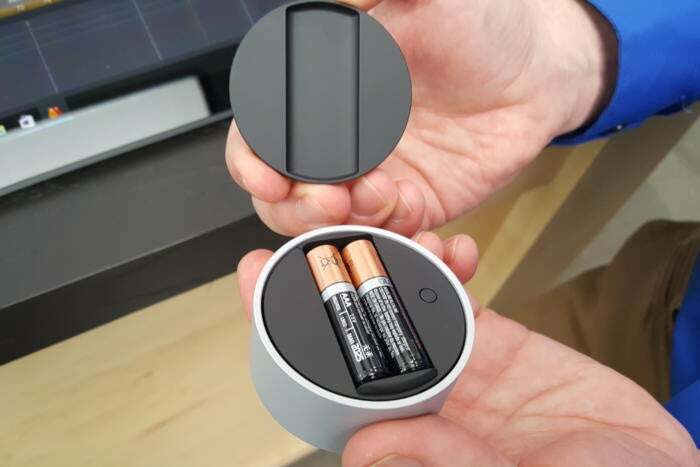 But I also expect that Microsoft’s odd little hockey puck will probably attract a cult following.